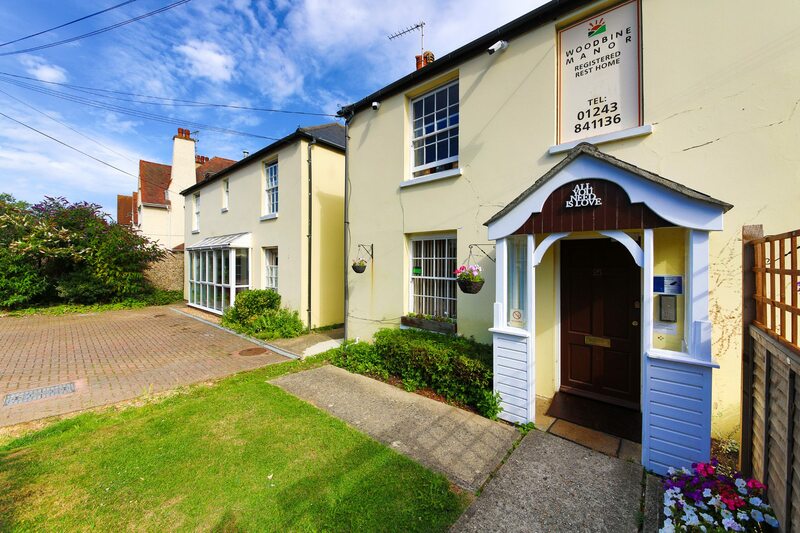 A delightful two storey converted and refurbished care home in the pretty coastal resort of Bognor Regis. 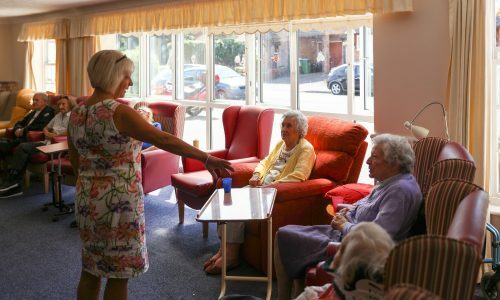 Woodbine Manor is a delightful two storey converted and refurbished care home in the pretty coastal resort of Bognor Regis with its bustling, friendly town centre and charming seaside promenade. 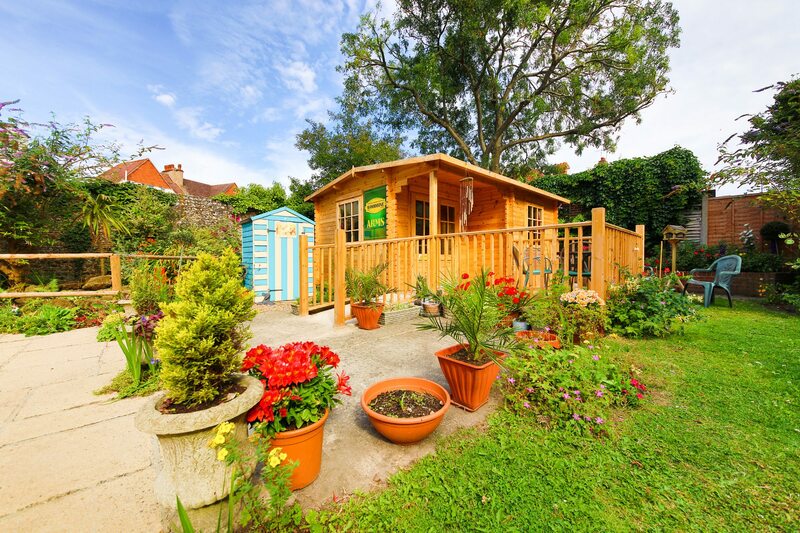 The warm and sunny South Coast, surrounded by the scenic South Downs National Park in West Sussex offers an ideal location for a restful retirement. Shops, public transport and many amenities are all within walking distance of Woodbine Manor. Chichester, Arundel, Littlehampton and Worthing are easily accessible. 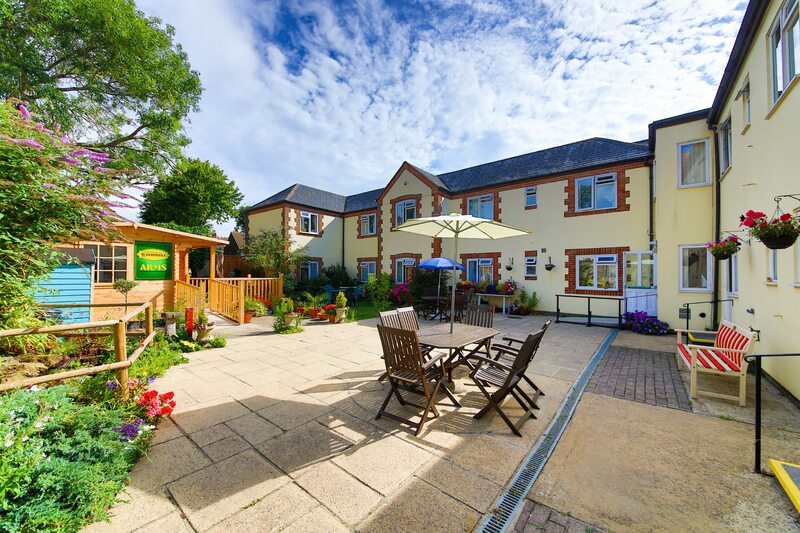 Woodbine Manor is a lovely, modern, tastefully decorated care home. All bedrooms boast ensuite facilities, vanity basins, TV and telephone points, individually controlled heating and a high tech nurse call system. The dining room has recently been refurbished to a high standard and residents can relax in either of our two comfortable salons, or in the sun lounge. The charming landscaped garden at the rear of the home is perfect for enjoying the fresh air and delightful, picturesque surroundings. At Woodbine Manor, we aim to provide the very best facilities and care for all of our residents. The dedication and devotion of our highly trained staff has established our reputation as an exceptionally ‘friendly and caring’ home. 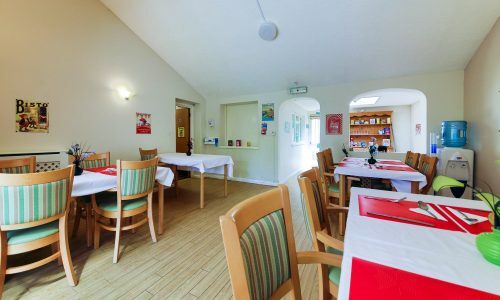 Our residents’ quality of life is greatly enhanced by the comfortable, warm and safe environment that Woodbine Manor provides.The appetising, tasty and nutritious menu at Woodbine Manor provides our residents with a healthy and varied diet. Specific dietary requirements and residents’ preferences are catered for. Meals are served in our pleasant dining room, but residents can dine in their own rooms if they wish. Our residents’ happiness and serenity is of paramount importance. Care programmes and activities at Woodbine Manor are designed accordingly, to support individuality and independence. Each resident is encouraged to exercise choice in all aspects of their care. With our open visiting policy, guests are most welcome at all times. Woodbine Manor is an excellent care home. The staff are all wonderfully supportive of both the residents and their families. The manager’s door is always open and she is happy to listen, inform and advise whenever necessary. The residents are treated with dignity and respect. The facilities are excellent and there is a lovely warm atmosphere and a welcome for both residents and their families. 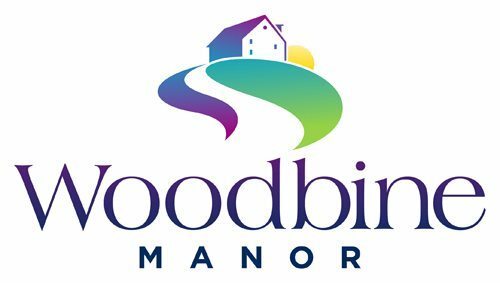 I would thoroughly recommend Woodbine Manor to anyone considering residential care. Would you like to ask a question or arrange a visit? We’re here to help! You can relax in our plush, restful and stylishly arranged lounge. Bright and spacious with large floor to ceiling windows, the lounge was recently redecorated. 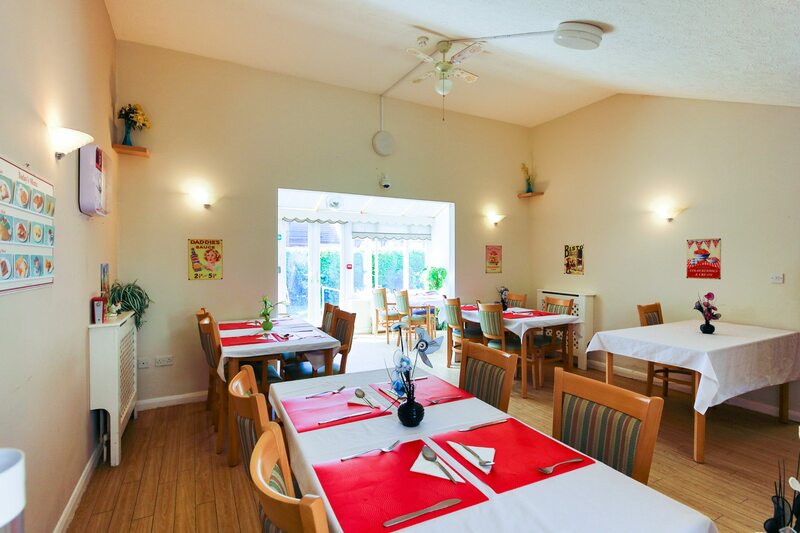 Woodbine Manor is well known for its superb hearty and wholesome home cooked meals. Our two cooks’ marvellous culinary skills translate into an extensive, nutritious menu providing variety and choices every day. The prime objective of our home is to promote and foster health and wellbeing. 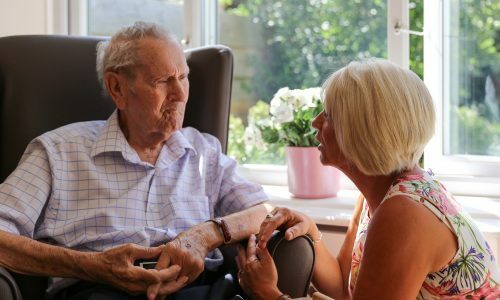 On your admission an assessment of need is performed by a senior member of the care team, from which a Care Plan is created. We strive to ensure that our residents live their lives to the full, not just adding years to their lives, but more importantly life to their years. Come and Visit Woodbine Manor!